ercise to register all its citizens under the new huduma number. The exercise is expected to cost the government between 5 to 6 billion. 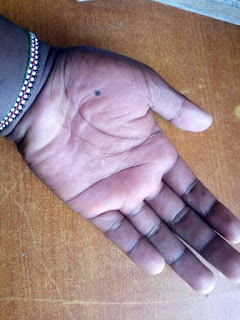 According to the star newspaper, Huduma number is conducted by the National Integrated Identity Management system (NIIMS) and involves collecting biometric data after which the systems generates a unique number (Huduma Namba) which will enable one to access government services. Such services include applying for a driving license, ID, birth certificate among others. Here is an excerpt of an interview by Dr Karanja kibicho explaining benifits of the huduma number. "Once we are done, with the exercise , the Huduma Namba will be the only identification document you will need." "Without it, you will not access any government services that require documentation, just as you cannot do so without a national ID card. "he added. Information which the huduma card will capture include biometric and other information data from birth to death. The man whom West Pokot Governor John Lonyangapuo in a public addressed described as a"Kijana mfupi round' meaning a short person with a round figure has emerged. 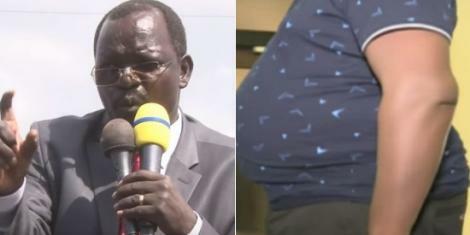 In a viral clip, the Governor clearly agitated took to calling the man a Mulmulwas (something that is round like a ball) for causing trouble for him adding "huwezi juatumbo ni wapi mgongo ni wapi (one can't tell where the stomach ends and the back begins.)" The man was tracked down by NTV and identified as Dennis Ruto, a politician in the county. Dennis Ruto during his interview with NTV. 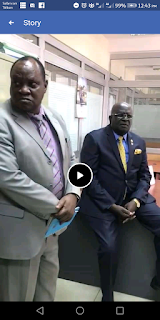 Ruto explained that at first when he heard the county head's sentiments, he felt bad stating, "At first I actually felt bad because that was body shaming that is criminal. But at the end of the day, I laughed it off." He recalled that his children asked him if he heard the govenor's insults not knowing it was their father who was being referred to. The politician stated that the reason Lonyangapuo attacked him was over the issue of the deputy governor. "I had raised the issue of the deputy governor who had been sworn in and gone to the United States and why is he earning public funds and not delivering services?" Ruto told NTV. Dennis who described himself as an advocacy and resource mobilization consultant further addressed allegations that he was trounced during the elections when he was vying for the MCA seat. "I was not number five as the governor alleged, those were just fabrications. A serious man like me cannot get six votes," he conveyed. Dennis stated that he had embraced the name Mulmulwas and even formed a movement with the same name, "we will roll him out of office if he's not very careful." He, however, affirmed that he did not have any personal problems with the governor. Polive have finally had a break through in the brutal murder of kiru Principal by wife. Kiru High School Principal Solomon Mwangi was murdered by wife who is also a school principal. One of the killers, who has turned state witness gave chilling details about the brutal execution in court. Julias Kariuki alias karis has now turned state witness and decided to spill everything. Karis told High Court Judge Joel Ngugi that he was introduced to Ms Muthoni by another suspect identified as Gikuyu. When the three met, the wife of the deceased informed them that he needed her husband killed. 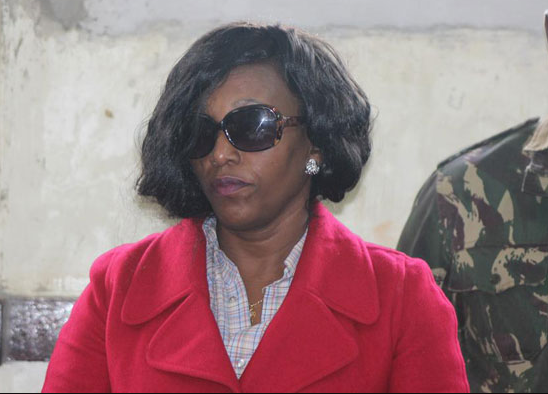 She promised to pay them a tidy sum of Sh400,000 with an initial downpayment of Sh100,000. The woman added that she had a plan to drug her husband while the two men would assist in the killing. On the 6th of November, Karis told the court that he and Gikuyu were called by Ms Muthoni who arranged a quick meeting at Ndarugo motel along the Thika Superhighway. They went to the venue and were later joined by the principal’s wife, who had driven with her unconscious husband. Karis further narrated that the deceased man’s wife drove to a nearby forest where they tied her husband with a sisal rope around his neck before hanging him on a tree. They hanged him as the wife happily watched. Police have now confirmed karis story as phone record place jane Muthoni in the murder scene. Inspector Mwangi said phone call data analyses corroborated Mr Kariuki's testimony that four people were involved in the killing. Mr Kariuki turned State-witness after admitting his role in the crime. One 9f of the suspects believed to be the mastermind of the brutal murder is still at large. Ruto allies have always pointed out that Uhuru corruption fight is targeting them. Ruto himself also admitted that the Kimwarer and Arror Dam Scandal was meant to fight him. He and his Allyies have been hitting out at DCI, claiming that the DCI is being used to fight him and derail his chaches in 2022. This country belongs to all of us, it needs all of us. Nobody is leaving Kenya. How do you expect me to govern if I don't reach out to the forty-something percent of people, there is a huge chunk of people who didn't vote for me - I gotta work with them man!" "When I am told I got to let those other people go and stop working with them, where are they going?" They are going nowhere and they must be served and their issues must be resolved," Kenyatta said during a meeting with NEPAD. President Uhuru Kenyatta has explained the purpose of the handshake which has been causing ripples in the Jubilee Party. 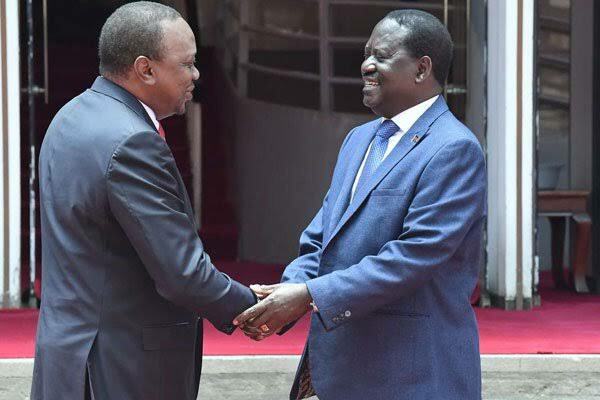 Speaking on Friday, President Kenyatta said that the handshake was not aimed at hurting anyone politically contrary to claims by politicians who said that the handshake would scuttle Jubilee Party. The Head of State also reiterated his stand on the Building Bridges Initiative and assured Kenyans that the initiative was aimed at bringing the country together. "There is no political intention of hurting this person or fighting that person, we must come together and deal with these challenges, it is going to hurt every one of us," the President said. 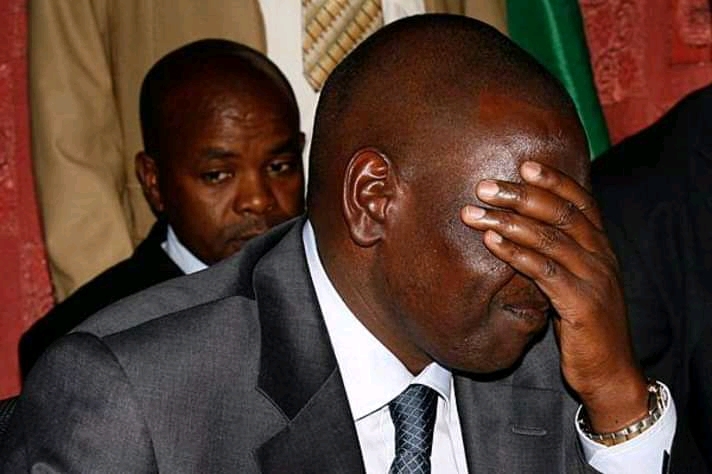 Deputy President William Ruto had accused AU envoy Raila Odinga of using trickery to break Jubilee Party adding that he was sowing chaos in political parties. The DP saw Mr Odinga’s newfound unity with President Kenyatta following their handshake on March 9, 2018, as creating turmoil in political parties. According to the DP, Mr Odinga is out to divide the Jubilee Party in the guise of uniting the country. Forget Matiangi, there is a new sheriff in town. Prof George Magoha, He is the only man with a 99 page cv. Magoha was recently appointed to head the ministry of health. But on his first day in office, he seems to have to be taking no chances on lazy workers. He said he expected 2 or three people to be late but ended up finding over 100. He clearly made it clear that he will not tolerate the behavior as he warned anybody coming late or not performing his duties will be fired. We will not talk much, Watch video of taugh mogaha below. Joseph kori might have been seeing the other woman whom she was seen while he was still married to late wife Mary kamangara. Joseph Kori and the unidentified woman have known each other for a long time. Kori had been spotted shopping with the woman few days ago. A neighbor who spoke anonymously had the following statement. The source could not confirm or deny if the woman is Kori’s lover only saying that she has always been there for him. “Yes, I saw the viral pictures on social media. Mr Kori has known the woman for quite long. It is not true he met her after the death of his wife Wambui. Actually, she was there for him throughout the difficult period he was going through when being investigated for his wife’s death,” said the insider, adding: “On whether she is his lover, I am not in a position to reveal that. Only Kori can share more information about her,” said the source as quoted by eDaily. On Friday, February 22, another source reportedly spotted Kori shopping at the Two Rivers Mall in Nairobi. “He was wearing red shorts, a T-shirt and a Safari hat. He was in the company of a woman,” said the source as quoted by Nation. It is understood that the woman stood by kori side ever since he was locked up and charged for murder. The source said she used yo to visit him everyday in prison and after he was released she stood by him even during the burial of Mary kamangara. The two have known each other even before kamangara death and there are speculations that they are lovers.